• Feeling exhausted this morning? I’m with ya. If you had a bad night of sleep, you could have your eating habits to blame. A new study from Penn’s Perelman School of Medicine found some interesting connections between diet and sleep patterns. 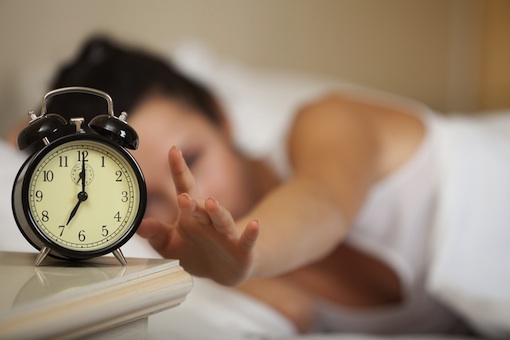 In the study, people who ate the most calories got only five to six hours of sleep a night, while those who ate the least amount of calories tended to oversleep, getting nine or more hours a night. (Long-sleepers also drank more alcohol.) Normal sleepers—defined as those who got seven to eight hours of shut-eye—had the most variety in their diets, and as TIME Healthland points out, “a varied diet tends to be a marker for good health since it includes multiple sources of nutrients.” Interesting, right? The researchers say the study is a first in the field, finding that what you eat influences how well you sleep. With more research, perhaps they could unlock ways to treat sleep disorders with diet. • What do the people want? More lower-calorie options at restaurants! That’s according to a study released last week, which found that restaurants that offered more low-cal options saw a 5.5 percent increase in sales between 2006 and 2011, while ones that offered few healthy items saw 5.5 percent sales decrease in the same period. The Wall Street Journal has more. • Things that are awesome: that beer—yes, beer—could hold the secret to treatments for cancer, diabetes, inflammation and even weight loss, according to a new study. I’ll drink to that.